Tis’ the season for parties and gift giving! I’m sure you’re all attending holiday parties and, of course, it’s always a nice gesture to show up with a little something for the host of the party. 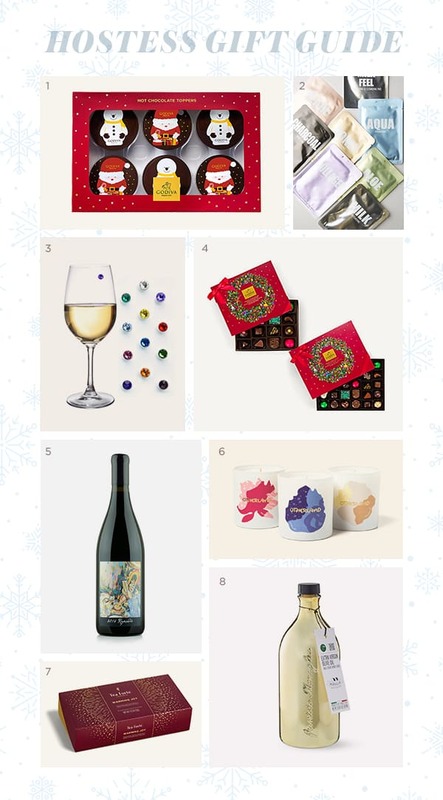 To help inspire you, we’ve pulled together some good gift ideas below, that any host would love to receive! GODIVA– A gift in every bite! I’m a pretty happy host when a guest brings me a box of chocolates. It’s the ultimate gift for chocolate aficionados and there’s something so special about GODIVA, especially around the holidays! I also adore their new Hot Cocoa Toppers!! We had these in the store last year and now they’re available to purchase. 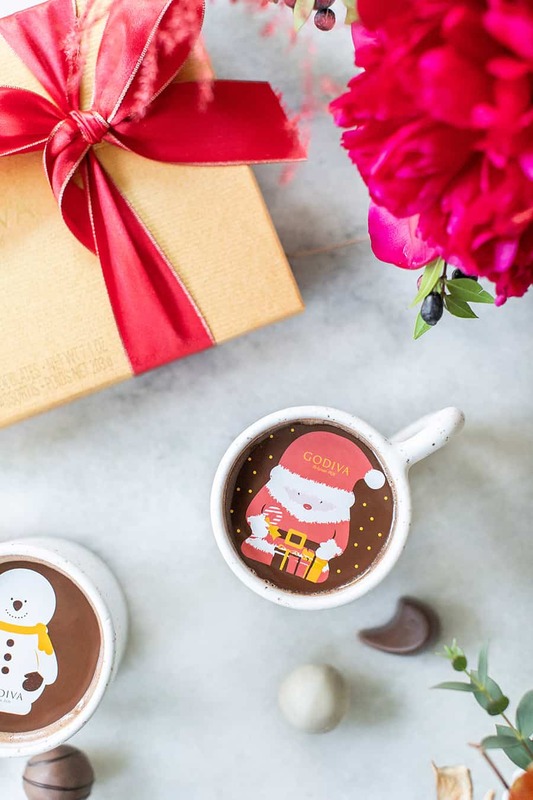 They’re truly the cutest way to add charm to hot cocoa and make a great hostess gift. 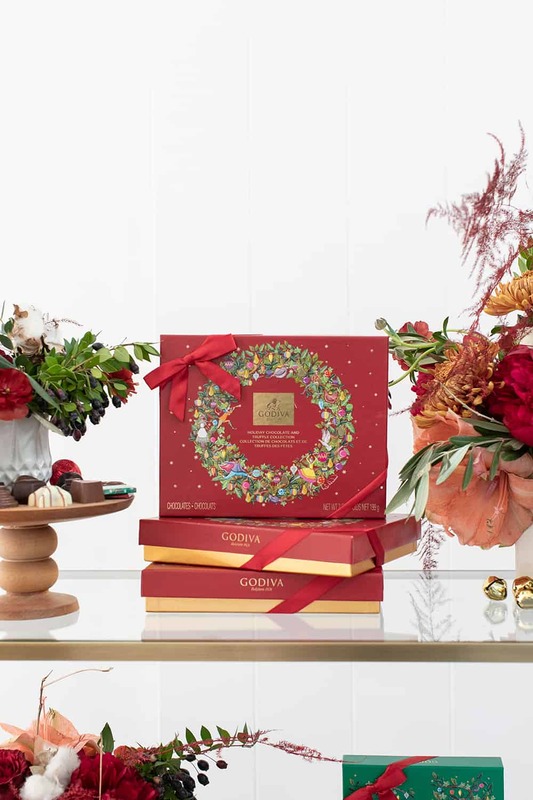 Also, if you’re hosting a party, GODIVA is a fun gift to give to your guests as well! 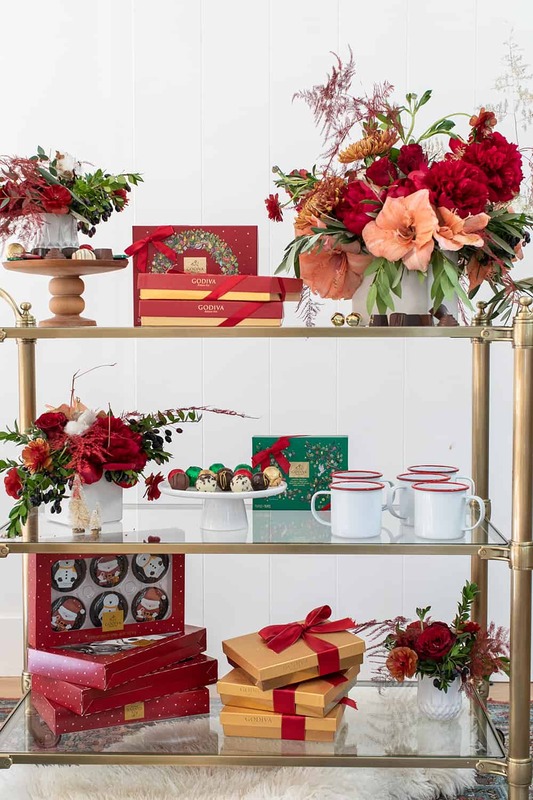 We set up a charming GODIVA chocolate cart so each guest can take home an iconic gold box or a box of the whimsical, new Holiday Desserts Collection, featuring a selection of bite-sized ‘mini cakes’ to enjoy for the holidays. Face Mask – Hosting parties can be a lot of work around the holidays so I love the idea of gifting a few fun face masks, wrapped in ribbon, for the host! It’s a nice little gesture to help them relax after the party and keep their skin hydrated throughout the winter months. They’ll appreciate it! Wine Crystals – For any host who loves to throw parties, these wine crystals have a tiny magnet on the back and attach to the glass so guests know which glass is theirs. They add a little charm to the glass and are super easy to use. Wine – We couldn’t leave the classic host gift of wine out of this guide. A good bottle of wine is always acceptable and much enjoyed by any host who is the recipient. Otherland Candles – This company helped me realize my obsession with candles is moderate and healthy! These amazing candles are soy and coconut blended and I adore their scents. You can also use the jars after for make-up brushes, decor, etc. They’re a great gift around the holidays. Tea Forte – Bring warmth to the hostess with the finest tea! Tea Forte takes it to the next level with their signature pyramid tea and adorable, bendable tea leaf. It’s more of an experience and a terrific host gift. Olive Oil – A nice bottle of olive oil to cook with is always a nice gesture. It’s one of those items that we buy, but never spend too much on. So a good bottle of olive oil is a treasure and makes a special gift!